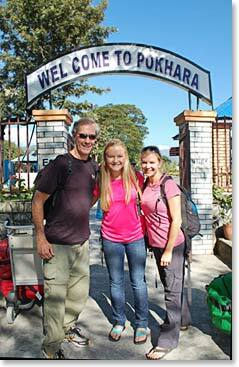 Mustang Trek Dispatch: November 14, 2013 – Pokhara, We Are in a Totally Different Part of Nepal! 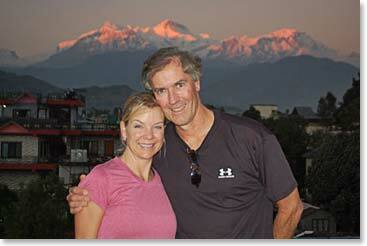 November 14, 2013 – Pokhara, We Are in a Totally Different Part of Nepal! 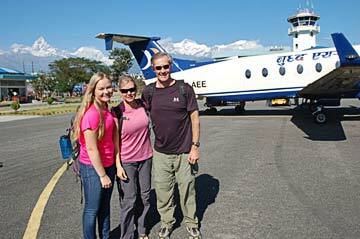 Today Scot, Keely, and Alyssa flew to Pokhara. 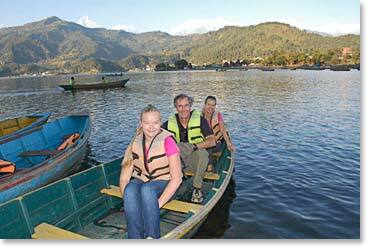 At an elevation well below 3000 feet, Pokhara has a totally different climate from the Khumbu and even from Kathmandu. They are joined by Ang Temba of course, and for this Mustang trip they will also be joined by Berg Adventures long time guide, Min Bhadur. These photos will show how beautiful it is in Pokhara today. At the Pokhara Airport. A perfectly clear day! 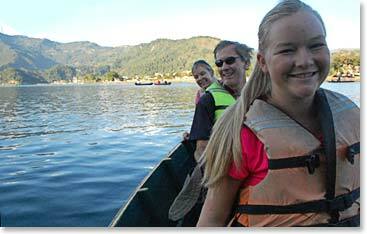 Lakeside walks and activities are always enjoyable in Pokhara . We decided to talk a boat ride. 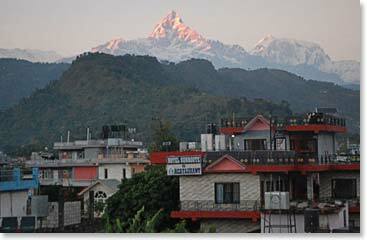 The mountain Machacupare, “The Fishtail” is a world famous sight from Pokhara.